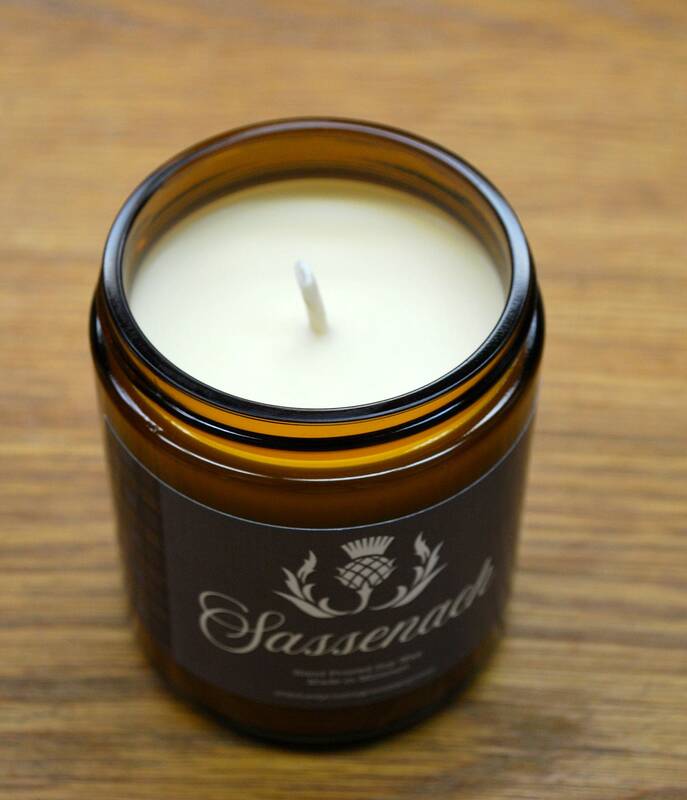 This is the perfect woody and powerful scent to wrap around you like a kilt on a cold night. 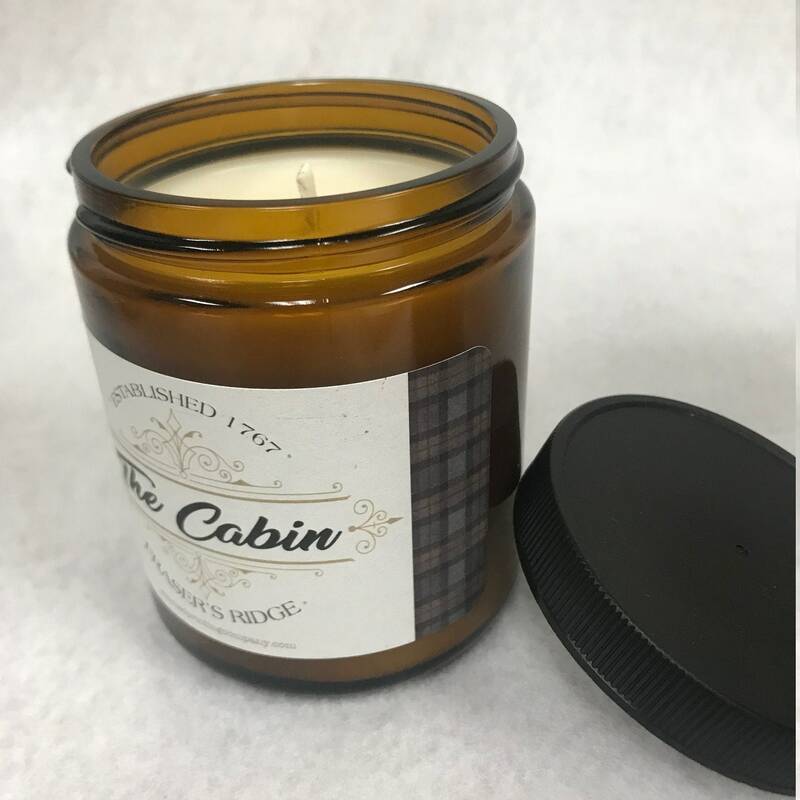 With hints of mahogany, creamy and smokey with a twist of oak, this cabin will make you feel like you are near the cabin as Jamie and Ian are building it. 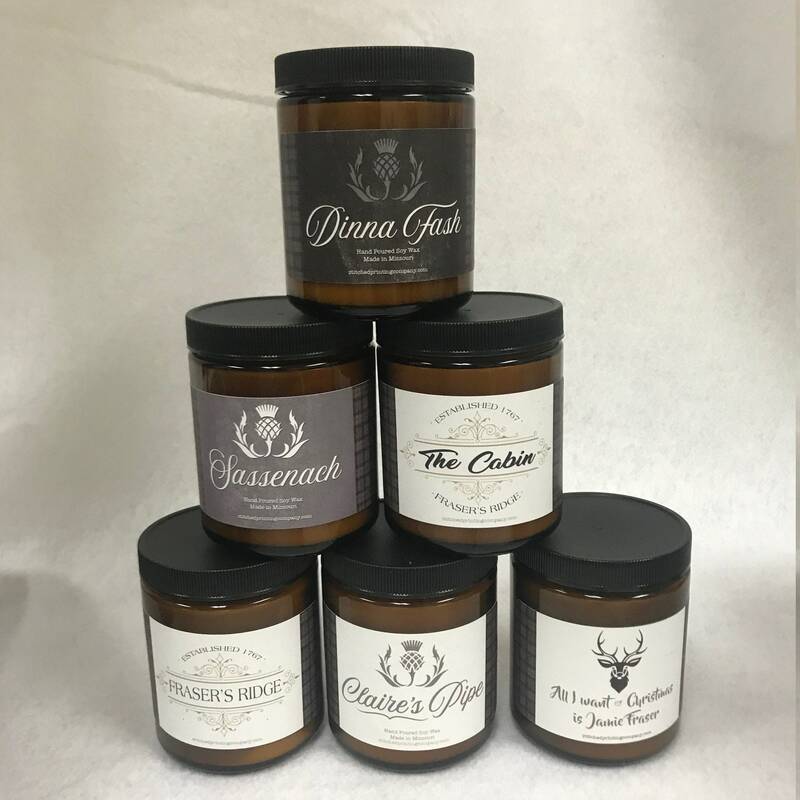 Candles make perfect gifts and a nice treat to yourself! 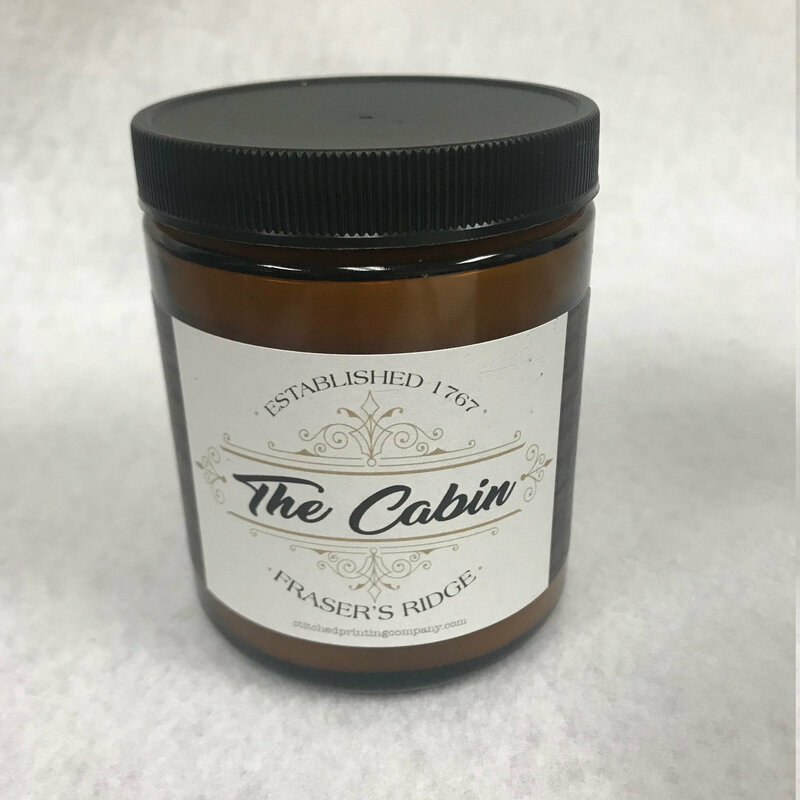 Our beautifully packaged, strong scented soy candles are hand poured into a a dark amber glass container and are made using a blend of all-natural soy wax and the maximum ratio of fragrance oil (almost double the recommended amount) for the best fragrance throw. The flicker of candlelight produces a lovely ambiance that simply cannot be replicated. Lighting a few well-placed candles in your home can really add effect and create a cozy and intimate atmosphere. Adding a candle here-and-there will create softness in your room and instantly make it feel warm and welcoming. 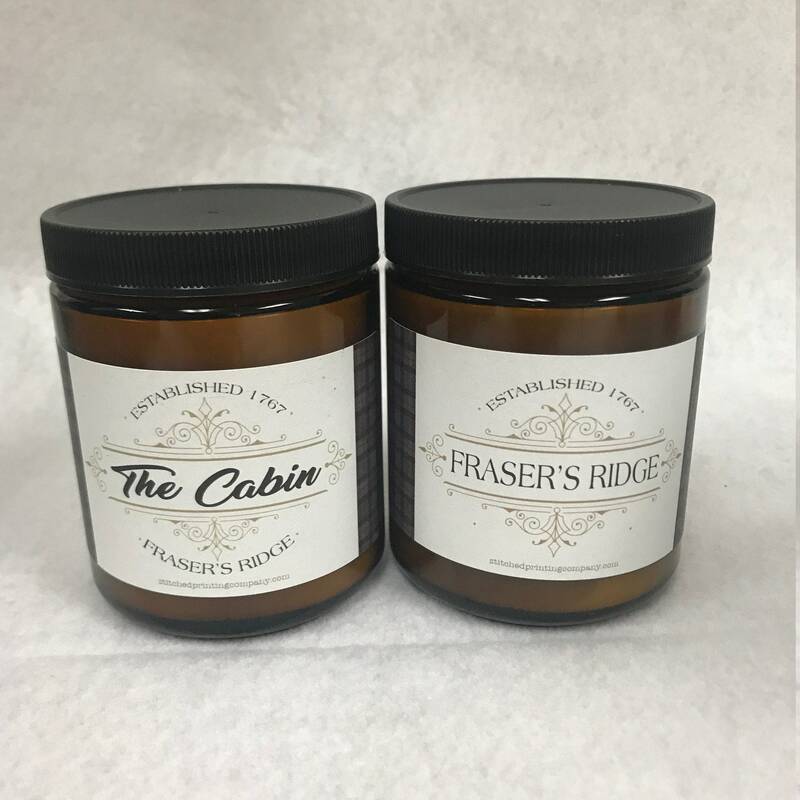 Why are Soy Candles better? -They are cleaner burning - no toxins, carcinogens or pollutants which means it's less likely to trigger allergies. no petrol-carbon soot like you get from petroleum-based paraffin candles. 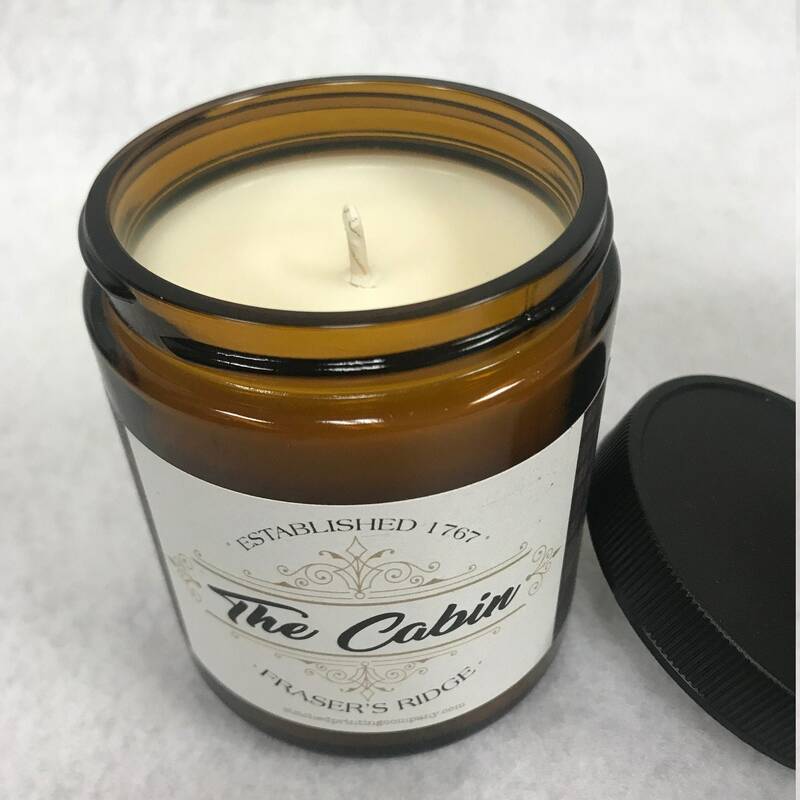 longer lasting - soy wax burns cooler which means that you can enjoy your soy wax candle for generally 30-50% longer than a paraffin candle.